it was a breeze through the immigration, then we got our bags. we then boarded the shuttle which would take us to our hotel. 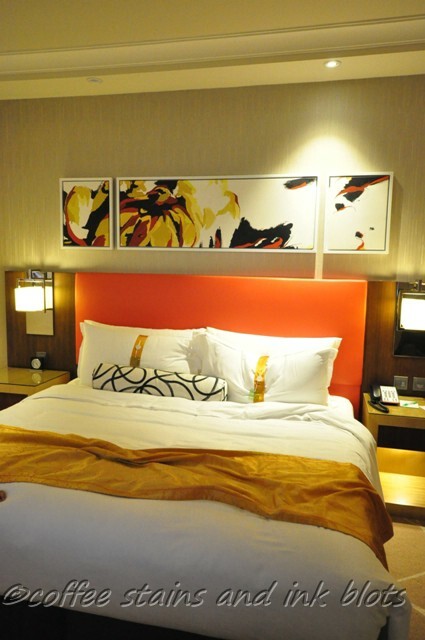 while planning this trip, we took a lot of consideration for the hotel that we will be booking. most of the hotels are a little expensive, and the cheaper ones are a little small. 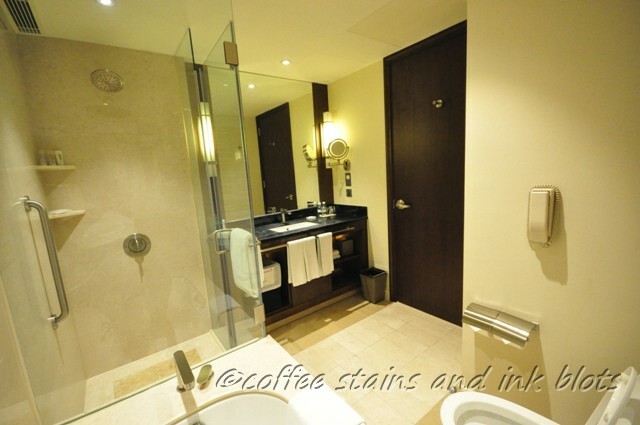 it would just be fine if it was just hubby and me, but we had to consider all the facilities of the hotel because of the little boy. 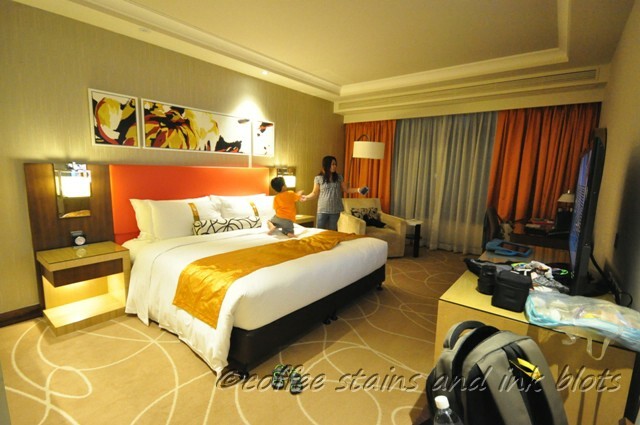 luckily, we were able to avail of a promo at holiday inn macao cotai central. 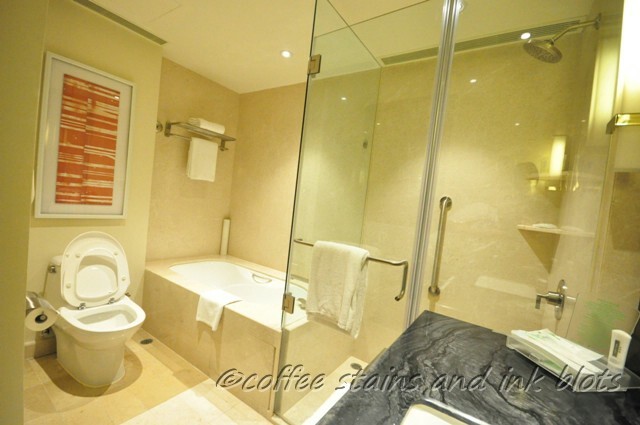 we got a 3-night accommodation for just around hkd 2600.00. we booked this thru the IHG website since i am a member. the shuttle dropped us at the front door of the hotel. 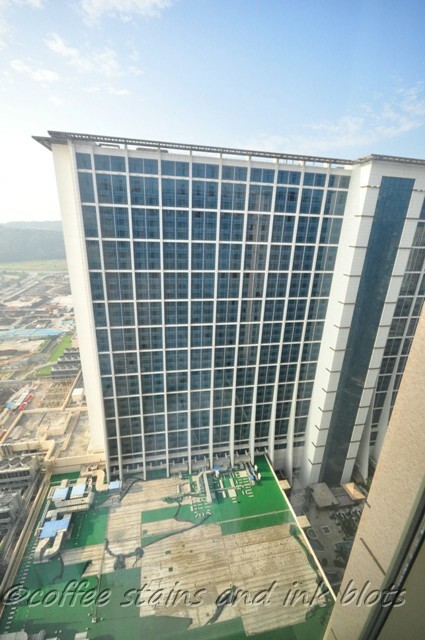 upon checking in, we were asked for a hkd 2000.00 deposit. it is a little steep for the usual hotel deposit. good thing we had a extra money. the room was very spacious. it had a king-sized bed with soft and firm pillows. a working desk, sitting chair plus all the usual amenities. we also got free wifi access for upto 4 devices. after we have settled in, hubby went out to get some food and we had nuggets and burgers from mcdonald’s. after cleaning up, we went in for a good night’s sleep. 2. Yung deposit, required ba siya kung bayad ka na online? 1. yes, it is possible to sneak in. malayo ang hotel lobby from the elevators going to the rooms. they do not check the rooms naman. siguro to be on the safe side, wag kayo sabay sabay mag-enter ng room. and make sure you have your keycards, baka i check sa elevator lobby. 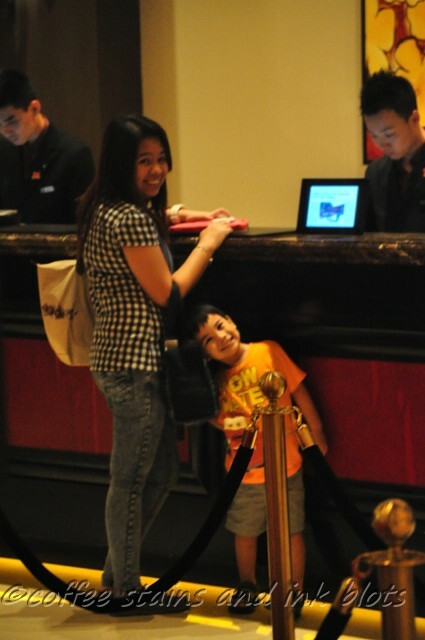 2. yes, we paid in full via online pero we were asked for a deposit which is common naman in all hotels. you can pay via credit card or cash. if credit card, they will hold the amount. it will be released naman agad at check out. hope this helps! enjoy macau!